HIGH POINT, N.C. – International Market Centers announced today the schedule for IMC seminars, tours and hospitality offerings at Fall High Point Market, running Oct. 13 – Oct. 17, 2018. 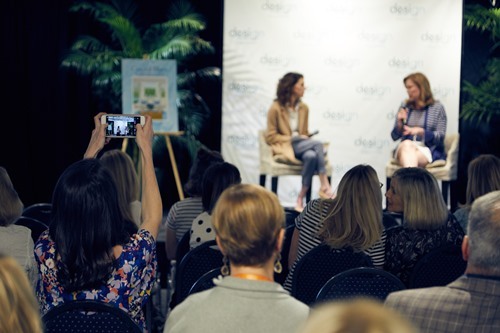 The 24 CEU-accredited seminars and eight designer-hosted tours allow retailers and designers to complement their buying activities with complimentary programming that encompasses trends, business strategies and forecasts. Colors, Finishes and Forecasting: What’s in a Forecast & What You’ll Be Seeing Soon! Interior Planning: Taking Care of You So You Take Great Care of Your Clients! Trendsetters and influencers will lead these tours through the Suites at Market Square, Hamilton-Wrenn, Commerce & Design (C&D) and IHFC showrooms. RSVP required. Suite Spot Tour with Gary Inman (Hospitality focused) – 2 to 3 p.m.
C&D Highlights Tour with Michelle Nussbaumer – 11:30 a.m. to 12:30 p.m.
Suite Spot Tour with Mikel Welch – 2:30 to 3:30 p.m.
Suite Spot Tour with Lauren Nicole – 2 to 3 p.m.
Hamilton Highlights Tour with Lori Paranjape – 2:30 to 4 p.m.
Suite Spot Tour with Nancy Fire – 2 to 3 p.m.
Market Kickoff Party: Friday - 5:30 to 7:30 p.m.
Showplace Complimentary Breakfast: Saturday – 8:30 to 9:30 a.m.
Complimentary Gourmet Coffee: Saturday through Wednesday - 8 to 10 a.m. Afternoon Social: Friday through Tuesday – 2 p.m. to 6 p.m.
InterHall Martini Parties: Saturday through Tuesday – 4 to 6 p.m.
Complimentary Afternoon Bars: Saturday through Tuesday – 4 to 6 p.m. Happy Hour at The Antique & Design Center: Friday through Tuesday – 4 to 7 p.m.
Make the last few hours of the day the best, with a taste of whiskey made in North Carolina, compliments of Troy & Sons Distillers, to accompany your Happy Hour shopping at The Antique & Design Center. Sunset on 3: Saturday to Tuesday – 5 to 7 p.m.
Tuesday Night BBQ: Tuesday – 6 to 8 p.m.